While Atlantic Marketing Company thrives on efficiency, the sales agency identified two areas that needed improvement. First, reduce the amount of time it took to manually enter sales and commission data. Second, communicate key sales data faster and easier to reps, regional offices and management. One solution solved both challenges: dynaMACS. Brandon Flack, President of Atlantic Marketing, says of the software: “We’re more efficient, better at planning and better at allocating resources to the areas where we’re earning the most income.” dynaMACS also identifies regions that are underperforming and helps uncover trends that could be causing a territory to fall behind. The bottom line: dynaMACS is a powerful and user friendly tool that makes it easy to receive, distribute, view, analyze and share data. What could be more efficient than that? 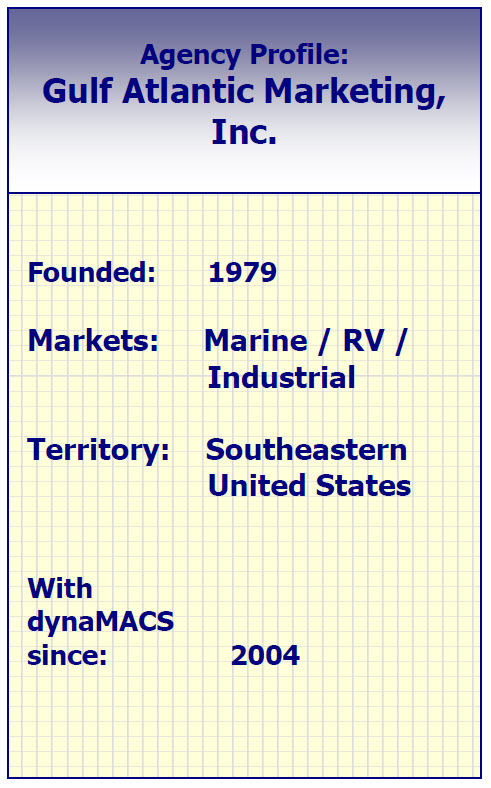 Case Study: Dan Beaudet Co.
With Dan Beaudet’s old sales agency software, RPMS, getting timely data was an issue. Printed reports provided by the data entry person at month-end was the only access Beaudet had to sales data. During the month, he often felt he was in the dark. Because Beaudet purchased eSi, a feature that enables him to import sales and commission information that his manufacturers send electronically, data entry is a thing of the past – as is waiting for month-end to see sales figures. Beaudet now spends less time managing invoices and commission statements and more time with his customers. In fact, his sales information enhances his meeting with customers. http://www.dynamacs.com/wp-content/uploads/EmpoweringdynaMACS_Logo-Vertical.png 0 0 dynaMACS Software http://www.dynamacs.com/wp-content/uploads/EmpoweringdynaMACS_Logo-Vertical.png dynaMACS Software2013-08-15 10:55:192017-07-12 08:32:56Case Study: Dan Beaudet Co.
Case Study: Gulf Atlantic Marketing, Inc.
dynaMACS has made a world of difference in how efficiently our agency operates. dynaMACS changed all that. “When it comes to getting factories’ sales information into the computer with no manual keying, nothing beats eSi,” Warner says. “It’s quick and easy and there are no errors.” The agency receives the information electronically on the same day that the manufacturer sends it and can process the information immediately – taking just minutes and requiring no manual entry. http://www.dynamacs.com/wp-content/uploads/EmpoweringdynaMACS_Logo-Vertical.png 0 0 dynaMACS Software http://www.dynamacs.com/wp-content/uploads/EmpoweringdynaMACS_Logo-Vertical.png dynaMACS Software2013-07-25 03:47:272017-07-12 08:45:43Case Study: Gulf Atlantic Marketing, Inc. The Sales Analysis Report Generator is a powerful feature of dynaMACS that provides you with virtually limitless possibilities for generating vital sales and commission reports. Using the Sales Analysis Report Generator we will demonstrate how you can create a sales and commission report that will summarize total agency performance and identify the top and bottom 20 customers based on year-to-date sales increase/decrease. From the dynaMACS main screen select the Reporticon and then the Sales Analysis icon. Select Shipment for the Source of Data. 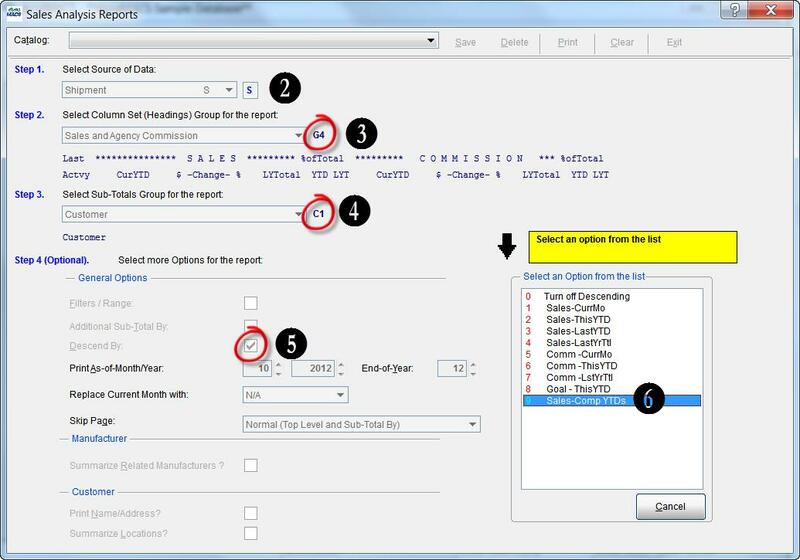 Select the Column Set of Sales and Agency Commission then highlight G4. Select Option 9 – Sales-Comp YTDs from the Descend By Options List. 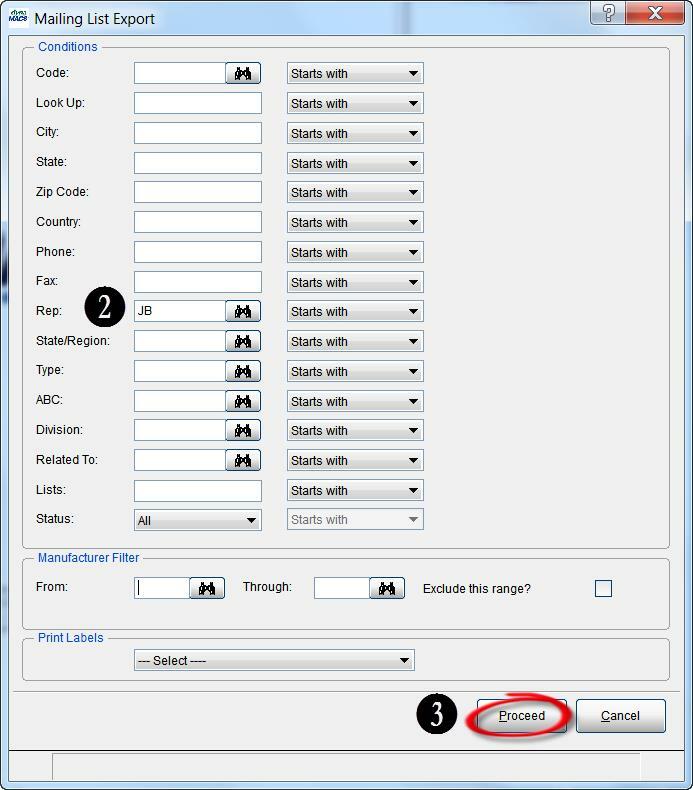 In the Select Range or Top/Bottom dialog box select the Select Top/Bottom Range radio button. 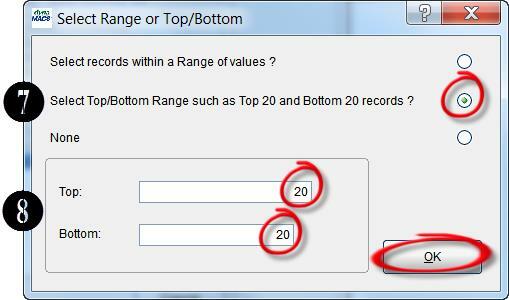 Enter 20 in the Top field and in the Bottom field and select the OK button. 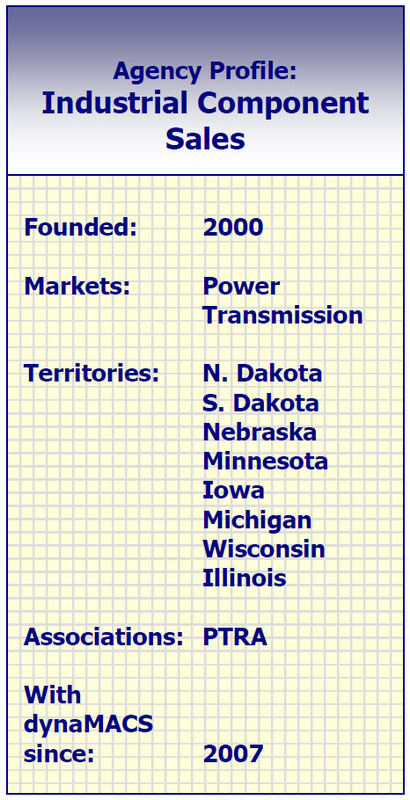 Check the Summarize Locations box. This will combine individual locations into a total for the headquarters for customers with multiple locations. 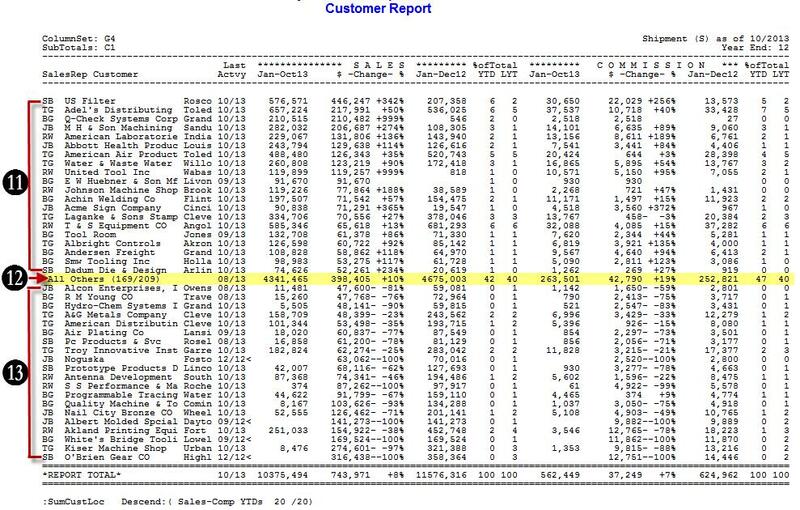 The Top 20 customers are displayed with the greatest Y-T-D sales increase. The Bottom 20 customers are displayed with the greatest Y-T-D sales decrease. The dynaMACS Mailing List Export is a simple feature that allows you to create a customer list that can be exported for use in another program. This feature lets you target specific customers by filtering on data fields from the customer records in dynaMACS. You can also include or exclude customers that purchase from certain manufacturers. 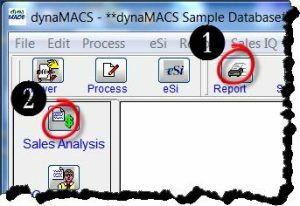 The following example explains how to select the mailing list options in dynaMACS and export the file. 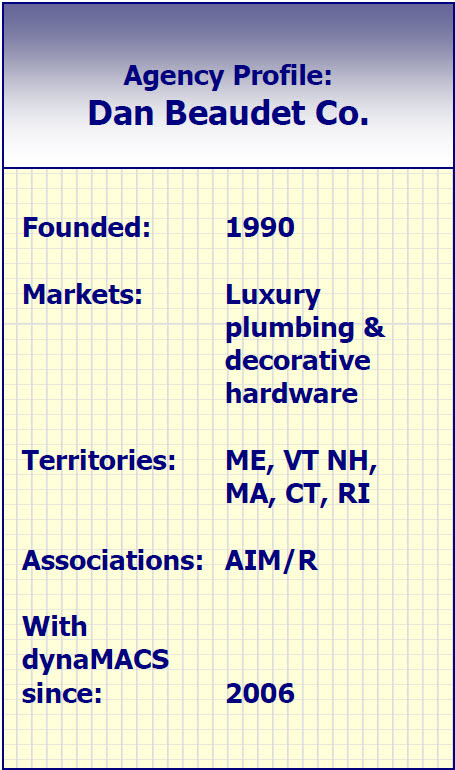 In this example we will create a list of all customers in sales rep Jim Blacks territory. 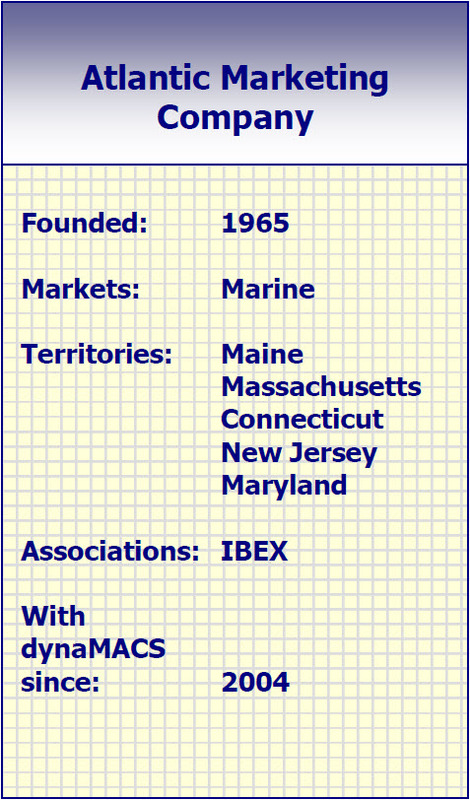 In the Mailing List Export screen enter JB in the Rep field. The following dialog box will appear providing you with the export file location and the details of the records in the file. 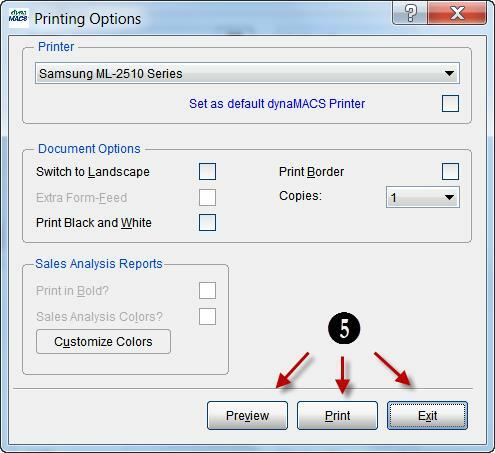 Next a Printing Options dialog box will appear. This is a confirmation of the file location and details which was displayed in the previous dialog box. You can select the Preview button to preview the details, the Print button to print the details or the Exit button to close the dialog box. 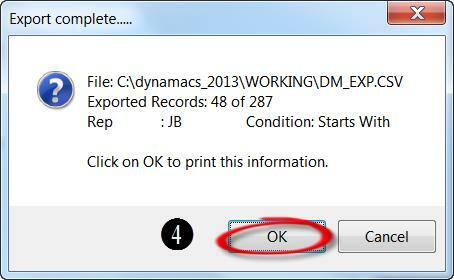 To retrieve your file go to the file location which will be in the DYNAMACS/WORKING directory called DM_EXP.